I hate smokers. They infringe on my enjoyment of clean mountain air. I stand in a liftline, ride a chair, make a left through the trees and cross a puff of cough-inducing smoke and I want to instantly petition the state to ban smoking at ski areas. You can’t smoke at Disneyland; at Lagoon (Utah’s own little amusement park); why can they not send smokers to the maintenance lot to pollute the air around the snowcats and snowmobiles? Resorts are marketed toward families yet I’m horrified when my six-year- old sees the liftie on break taking a drag. “Mommy, what’s that?” she asks. “That’s gross,” I respond. So the last thing I thought I’d want to write about was PAX. The new palm-sized device debuting at this year’s Sundance Film Fest has found love among smokers in the entertainment industry. It’s a super portable vaporizer that has only three parts and it’s destined for the pockets of skibums. It heats quickly and easily – even in freezing temps- and even if you’re fumbling on a chair lift you have a slim chance of dropping things. “The old vaporizers (used by those who smoke pot) sent a stoner message,” Said Sarah Richardson. “We’ve taken that technology and brought it into the tobacco space.” You can now have ‘attractive’ tobacco alternatives without the combustion that gets into your throat and chest. Pipe tobacco, nicotine and yes, that other substance. You can use it to smoke indoors and it won’t make your house, car, clothes or my chair ride smell like an ashtray. It works off an internal rechargeable battery (no butane). There’s a pop-up mouthpiece that turns on the device, the body and an ‘oven’ on the bottom where you pop off a magnetic lid and stuff your poison. 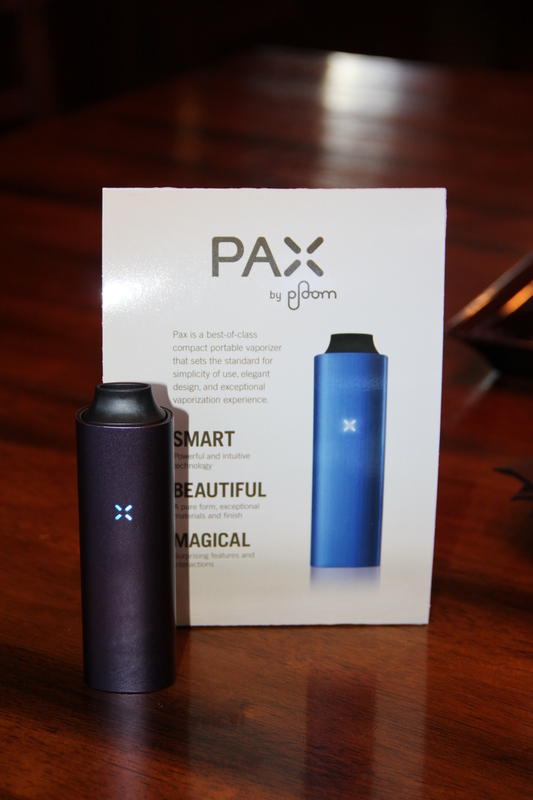 The cloud you see coming off the PAX is vapor not second-hand smoke. If it keeps my mountain air clean. Hurray, sell more of these. P.S. If there's a rider/smoker in your life, please, for my sake, buy him this for Valentine's Day.